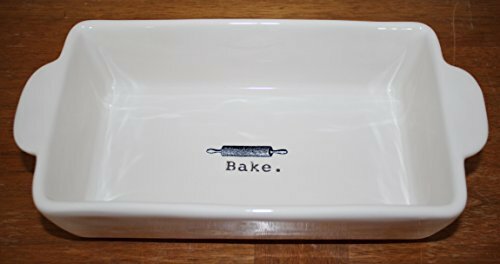 Rae Dunn BAKE with Rolling Pin Icon Loaf Bread Baking Dish 8 X 5 X 2.5 inch deep. By Magenta. Handles on each end.